When the world’s first specific guidelines on sitting and moving at work were published, they urged office workers to stand up at their desks for at least two hours each day. But Sydney researchers write in The Conversation that these guidelines were based on limited evidence, were co-authored by someone with undeclared commercial links to sit-stand desks (desks you raise and lower to work at standing or sitting), and overplayed the dangers of sitting at work. An edited version of the article follows. Yes, sitting is associated with health risks, such as dying early from any cause, having heart disease and even cancer progression. So, no wonder we want to know if we should be sitting less. Our team analysed news articles about the guidelines published in media outlets around the world. We found all the articles reported the top-line recommendation to reduce sitting by two hours a day, and to replace the sitting with standing or slow walking. 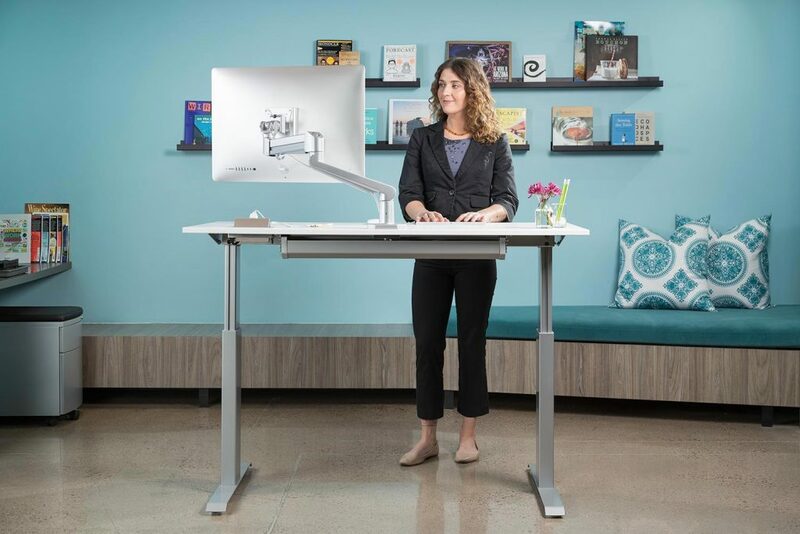 Almost two-thirds of articles also noted the recommendation that people should regularly break up seated work with standing, and that this could be done with a sit-stand desk. Even though the guidelines’ authors said the recommendations were based on the best evidence so far and more evidence was needed, these caveats did not make it into most news media reporting. These caveats are important because the authors acknowledge the evidence quality is weak and that guidelines are likely to change. The news media also seemed to be unaware of amendments to the journal article — including expanding the disclosure of competing interests, to clarify that one author, Gavin Bradley, has a connection to the business of selling sit-stand desks. The revised version notes Gavin Bradley is 100 per cent owner of a website that sells sit-stand work products called Sit-Stand Trading Limited. He is also director of the Active Working Community Interest Company (CIC). The Active Working CIC runs the Get Britain Standing campaign and is active in other parts of the world including the EU, USA and Australia. We are not suggesting Gavin Bradley skewed the sit-stand desk evidence in the guidelines. But the initial failure to disclose his interests is a concern. In our study, we also found more than one-third of articles incorrectly warned that too much sitting cancels out the benefits of exercise. This is contrary to recent research showing high levels of moderate intensity physical activity (about 60–75 min a day) seem to eliminate the increased risk of early death associated with high levels of sitting time (eight hours a day or more). This rigorous study, analysing data from one million adults, also found this high activity level reduces, but does not remove, the increased risk linked to high levels of TV-viewing. Yet, this study does not appear among the research resources on the Get Australia Standing campaign website, which appears to promote the message that it doesn’t matter if you are physically active, if you sit a lot you are doing yourself harm. How realistic are the recommendations anyway? Regardless of the media reporting of the guidelines, we need to ask ourselves how realistic the guidelines are. The recommendations may be premature and hard to put into practice given that studies involving motivated participants have only managed to reduce the time spent sitting by 77 minutes in an eight-hour work day. Workers may use sit-stand desks and they may reduce sitting time but the evidence is not yet in to show this produces detectable health benefits, at least in the short term. And standing too long at work has been linked to an increased risk of heart disease. The guidelines also contrast with recently updated Australian national physical activity guidelines. These make general recommendations to sit less and break up periods of uninterrupted sitting because the experts conclude the evidence does not point to a specific amount of sitting time at which harm begins. Given the evolving research field and the vested interests, we need to pay attention to sitting time, standing and physical activity levels as well as the role of industry players and their contribution to advice on health.